Professional hunters should be brought in to cull between 17,000 and 50,000 deer in Wicklow, a major research project has found. The study claimed that deer numbers in the area were too high for recreational hunters to significantly reduce the population. The interim report, which was drawn up for the Manor Kilbride Deer Management Project following two years of a four-year study, proposed that professional hunters be employed to reduce the population to a sustainable level, at which point recreational hunters could then control numbers. Deer have been widely blamed by farmers in Wicklow for spreading TB, and also for damaging forestry plantations and grazing crops and grassland. The incidence of TB in west Wicklow is almost four times the national average, at 11.63pc of tested herds. 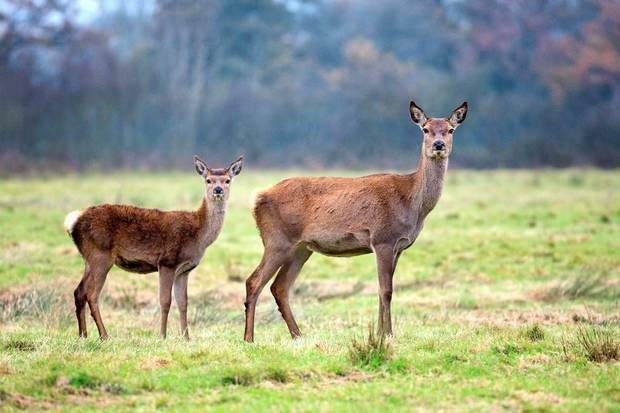 The report noted that a Department of Agriculture pilot sampling of 103 deer carcasses in the Calary area of east Wicklow found that 16pc were infected with TB. No accurate numbers are available for the deer population on Wicklow, with estimates varying from 50,000 to 150,000 head. Around 13,000 deer are shot by hunters each year, but the report claimed that a 35pc cull of the herd would be needed to bring numbers under control. has up to 150,000 animals. The Wicklow Deer Management Partnership (WDMP) has called for the Department of Agriculture, in conjunction with the farm organisations, to draw up a strategy for managing deer numbers in the county. The partnership also wants the Department to take the lead role in any cull of the deer herd.